This came from a blog I started following many moons ago, back when I first started blogging/reading blogs. In fact, I almost forgot about that blog because they blog so rarely these days. I was trying to decide what kind of cake to make and asked hubby. 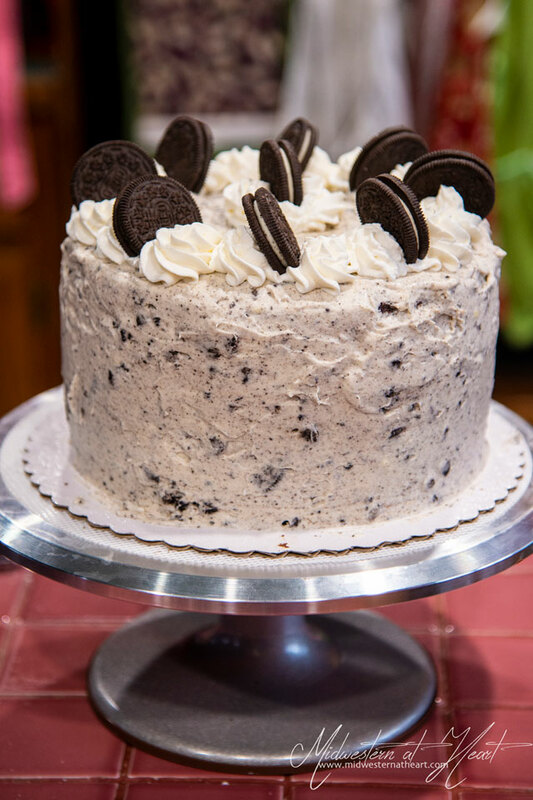 His response was… choclavelvemarblcheesoreo cake. Sure… I’ll get right on that. 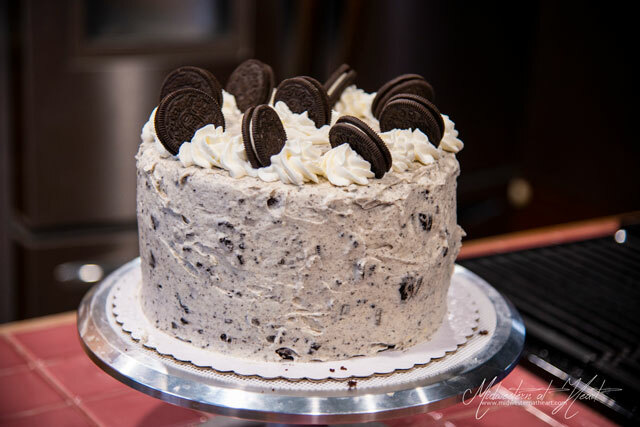 So I went to looking and that’s when I came up with this Oreo Cheesecake Cake. Do you see that I covered a little basis? 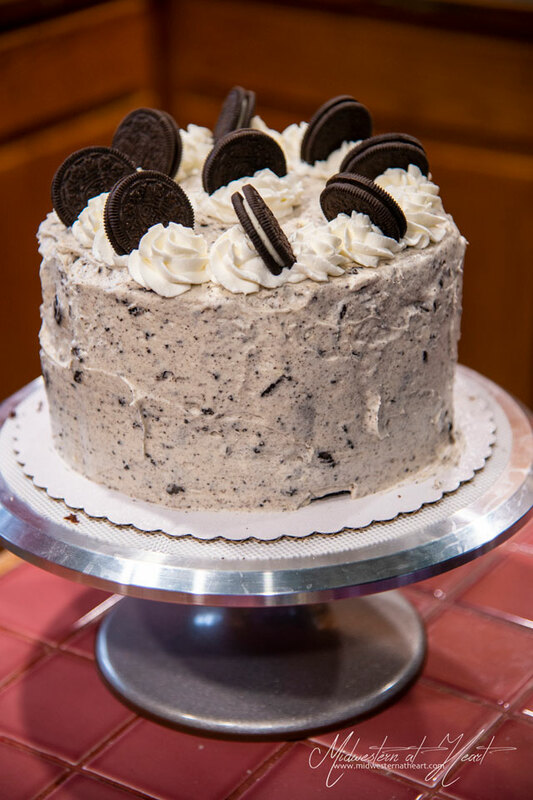 There’s a chocolate cake, a cheesecake, Oreo’s, and cake. I was just missing the red velvet and the marble cakes. Not too shabby, right? Life worked for me in one way. 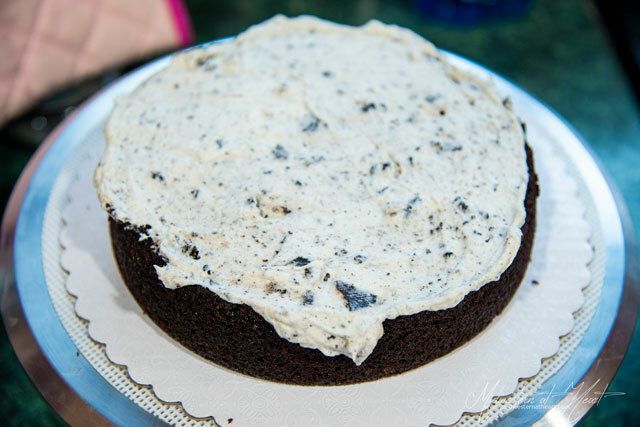 I had to wait on tile glue to dry, so we couldn’t grout… that freed up my afternoon to get Dan’s birthday cake baked. Then on his birthday I was able to decorate it and deliver it. 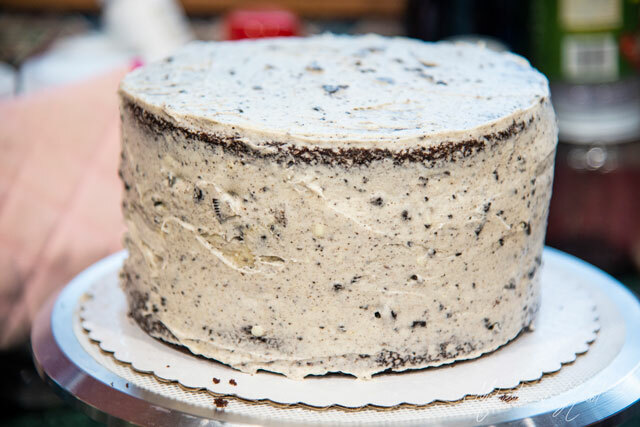 One funny about that… It was so tall, when I put it in the cake carrier, the Oreo’s got smashed a little. It was the thought though, right? And I heard it was amazing. Happy Birthday Dan (and Betty White).